Search engine marketing is a multifaceted subject. There are so many search engines out there, and everybody wants the same thing: to appear at the number one position. How do you rank first on Google? How do you get your advertising campaign to perform better than your competition? How do you make sure that your website captures all the leads it possibly can? These questions are the foundation for an effective search engine marketing plan that will drive traffic, and create leads. We can help you with both your organic search engine marketing and your search engine advertising to create your comprehensive plan designed for optimal results. Like every other type of marketing, search engine marketing can be used by every type of business out there. If people can spend money on your business, or products, there will come a time when they will search. The objective is to make sure that they not only find you, but love what they see when they do, so they are inspired to take the next step. Be it buying from you at that moment, starting a conversation, or simply entering the sales cycle, the critical next step is action. The team of experts at Vision Advertising are trained in inspiring action that drives results. 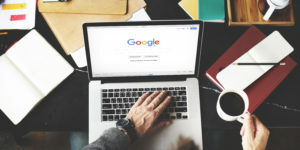 When it comes to search engine marketing, it is a decidedly multifaceted approach that will get the most results at the end of the day. There are so many nuances to this field, and there is no such thing as a silver bullet solution that will fit every need, or every business. The most effective search engine marketing programs will look at the entire campaign: the marketing, the advertising, the media, geolocation, accuracy, saturation, the site itself, and so much more. There are literally hundreds of factors in website ranking and our job as search engine marketers is to help you to dominate in every area possible. We can assist you with every aspect of your search engine marketing program. We can help you to organically rank at the top of search engines for your most important keywords, we can help your ad campaign to cost you the least, while performing at its absolute best, and we can make sure that every factor of your website that impacts your search engine ranking is working in your favor.